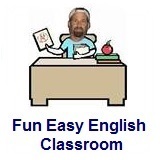 ﻿ Fun Easy English - new classroom free online classes english language lessons speaking listening writing reading december 20. Today in the classroom you are going to learn some idioms beginning with the letter X. Today learn idioms beginning with the letter X.
X marks the spot used to locate a certain point X marks the spot for this screw. XYZ reasons for reasons unknown and not worth speculating on You are not going to the party for XYZ reasons. 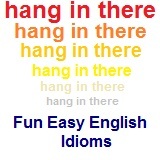 This idiom is basically used to indicate a specific point. The following video is a cute. Enjoy. Video: Sesame Street "X Marks the Spot"
Sesame Street is a long-running American television series for kids. This is the video "X Marks the Spot" which shows usage of this idiom.